Lovely and charming Studio apartment. 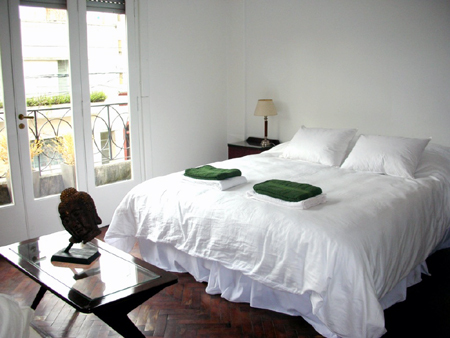 Located in the great neighborhood apartment of Palermo Soho.. The Studio has been decorated with a great taste. It offers a small balcony, bedroom area with a queen size bed. Dinning area with a nice table with 6 chairs, Living area with two big and comfortable sofas. Open plan kitchen fully equipped and a complete bathroom with bathtub and shower. Balcony.Aircon. Heating system. TV plasma with cable, Home theatre, DVD. CD Player. Internet. Dish washer. Bed linen and towels. Cleaning service once a week. Included: Gas, Electricity, Water,expenses and city taxes, telephone ( local calls) and cleaning service once per week.